Leeds United played out a 1-1 draw with National League North side York City in their second of six pre-season friendlies. Following Tuesday’s victory over Forest Green Rovers, head coach Marcelo Bielsa continued to cast his eye over the squad, by fielding a completely different 11 at Bootham Crescent. Japan international Yosuke Ideguchi, making his first appearance for Leeds tried his luck from distance inside seven minutes, but his effort went wide of the left post. The hosts then threatened, Sean Newton put a dangerous cross into the box for the home side, Jordan Burrow did well to get his head on it, but he was unable to direct his effort on target. York again went close, this time from a free-kick, Newton struck an effort from a central position, 25 yards from goal and only a fine save from Kamil Miazek denied him. Leeds then had Mateusz Klich to thank for keeping the scores level, Miazek made himself big in front of Alex Kempster, before the ball fell to Macaulay Langstaff, but Klich was on the goal line to block the shot. The home side continued to dominate the opening stages, Kallum Griffiths was next to go close, he whipped in a free-kick from the left flank, which went right through the Leeds box and just inches wide of goal. York’s Trialist almost broke the deadlock when a Griffiths free-kick fell to him in the Leeds box, but he couldn’t beat Miazek who made a fine save. York's pressure told in the 23rd minute, when Trialist headed home a Wes Newton corner, unmarked in the box. Leeds almost levelled from a free-kick, Lewis Baker, making his first appearance for the Whites struck at goal, but he couldn’t get the better of Bartlett. Jamie Shackleton then had a great opportunity to get Leeds on equal terms when he broke into the box, but Bartlett made a great save to keep York in front. United made a number of substitutes at the break and Will Huffer was called into action straight away. He made a brilliant save to deny Burrow from close range, Langstaff’s follow up hit the bar, before the ball was bundled into the net, but the referee awarded Leeds a free-kick for a foul. 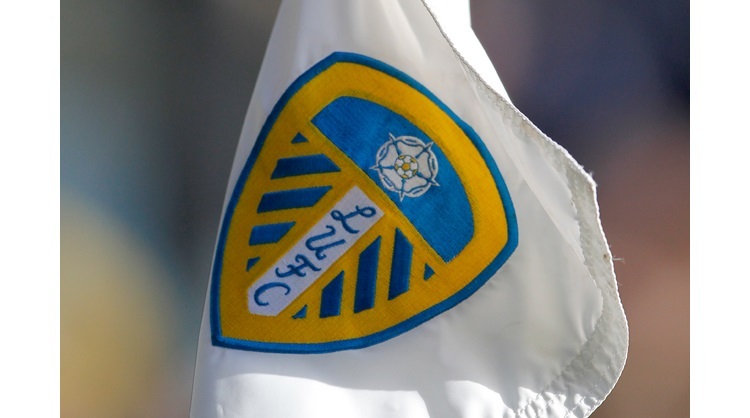 Leeds got right back into the match in the 57th minute, a Whites corner fell to Mateusz Klich who smashed the crossbar with a great effort and the rebound fell to Sam Dalby who tapped home from close range. The Whites almost went ahead when Shackleton won possession for Leeds in a dangerous area, he fed Dalby, but the striker was unable to get an effort away on goal under pressure. Bielsa’s side continued to press and Klich tried his luck from distance, forcing Bartlett to parry, but luckily for the York goalkeeper, he got enough on the shot to turn it around the post. Baker then had a great chance to put Leeds in front, Tom Pearce put a really good ball into the box from the left, but the man on loan from Chelsea could only volley wide. Jack Clarke did well to break into the York box, he then shot on goal, but dragged his effort just inches wide. With six minutes of normal time remaining, Pearce broke up the pitch and got to the byline, he crossed for Dalby who did well to get his head to it under pressure, but couldn’t get enough power behind it to beat Bartlett, as the Whites had to settle for a draw at Bootham Crescent. York: Bartlett, Griffiths (Law 61), Newton, Bencherif, Trialist (Parslow 45), Penn (Moke 61), York (Steels 66), Heslop, Burrow (Wright 61), Kempster (Ferguson 61), Longstaff (Parkin 61). Subs not used: Whitley. Leeds: Miazek (Huffer 45), De Bock, Ideguchi, Vieira, Baker, Klich, Pearce, Clarke, Edmondson (Dalby 45), Shackleton, Stevens (Diaz 45). Subs not used: Rey.